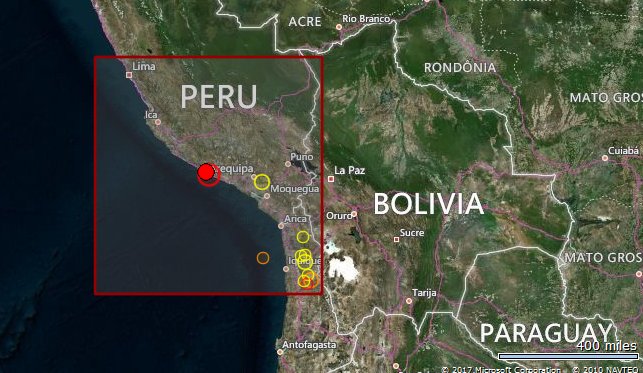 One person was killed and two others injured after a strong earthquake hit off the Peruvian coast on Friday night, the governor of the affected region said. "One person has reportedly died on the Secocha-Urasqui road in Camana, and two others have been injured. My condolences to the affected families," Gov. Yamila Osorio tweeted. She said clear-up operations were underway in the country’s quake-hit south after landslides blocked roads.